The Waihi Association Football Club men’s team met the Melville Nobs on Saturday when they played at the earlier time of 2 pm. The 12 – 0 scoreline against them was not one Waihi wanted and will no doubt be talked about at their training sessions this week. Brent Willoughby from Waihi AFC suggested the team needs to work more as a team, but it is still early days. The Waihi Women’s side travelled away to take on Melville Epics, going down 2 – 1 on Sunday. They played with just 11 players and are still after more players, including a goalie. Brent also talked about the latest English Premier League results, heading into the last five or six rounds. To listen ...click our podcast link. 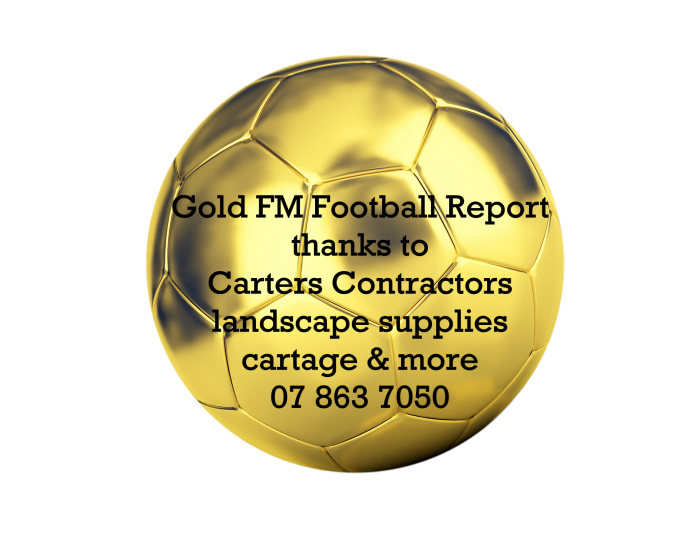 Thanks Carters Contractors - your one-stop shop for landscaping supplies and cartage for supporting football.